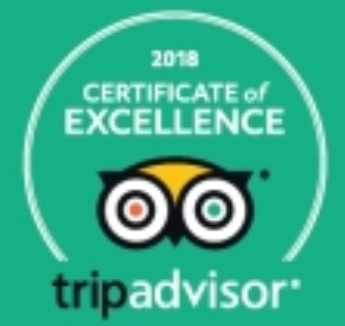 We made top 10 for Cyclists! 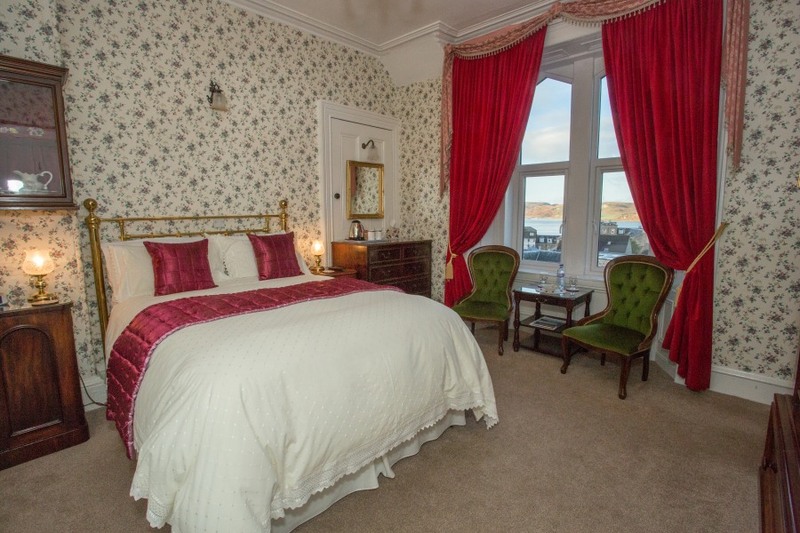 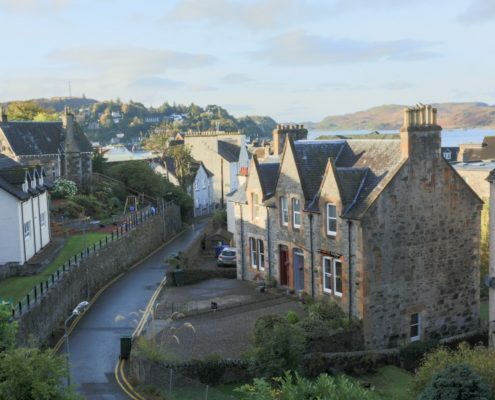 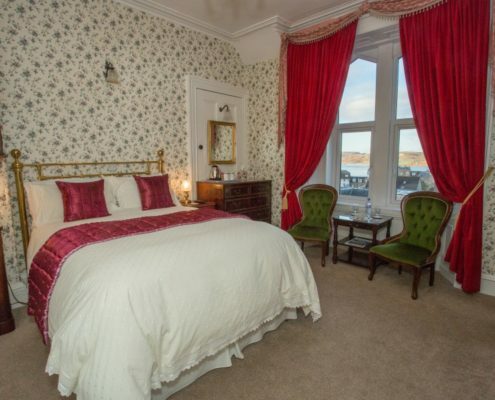 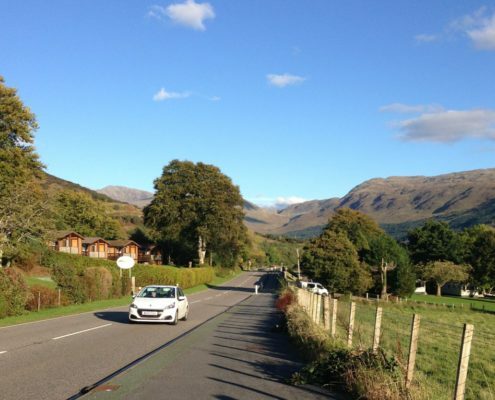 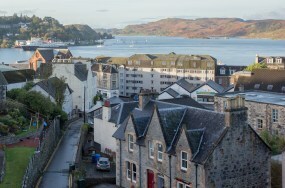 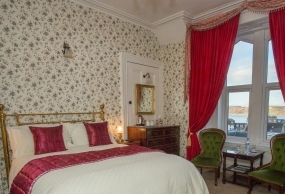 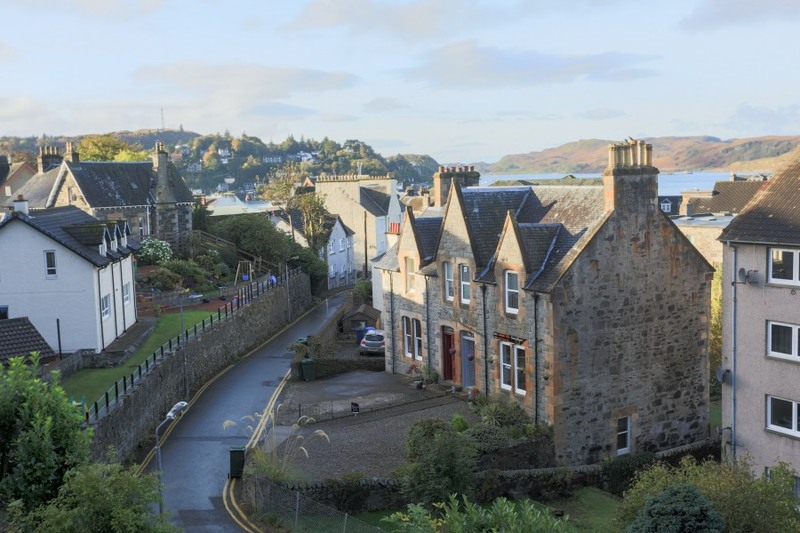 Hawthornbank Guest House is a delightful Victorian villa built 1873 situated close to Oban Town centre, yet in a quiet residential setting. 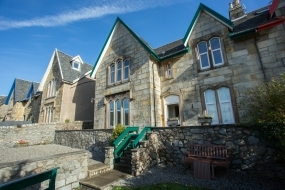 Car access is at the back where we have our own private off-street parking and immediately across the road is the local bowling green with the swimming pool and leisure centre adjacent. 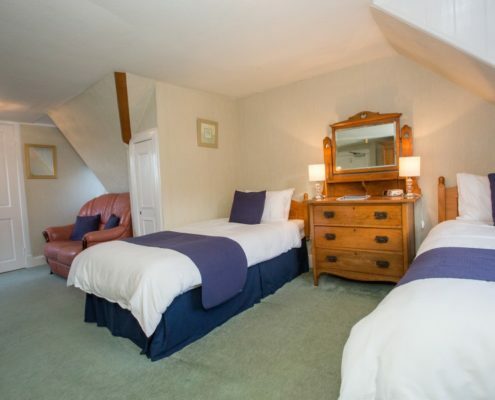 From its elevated position the house enjoys wonderful views with a wooded footpath that will lead you to the town centre in moments from your bed and breakfast accommodation. 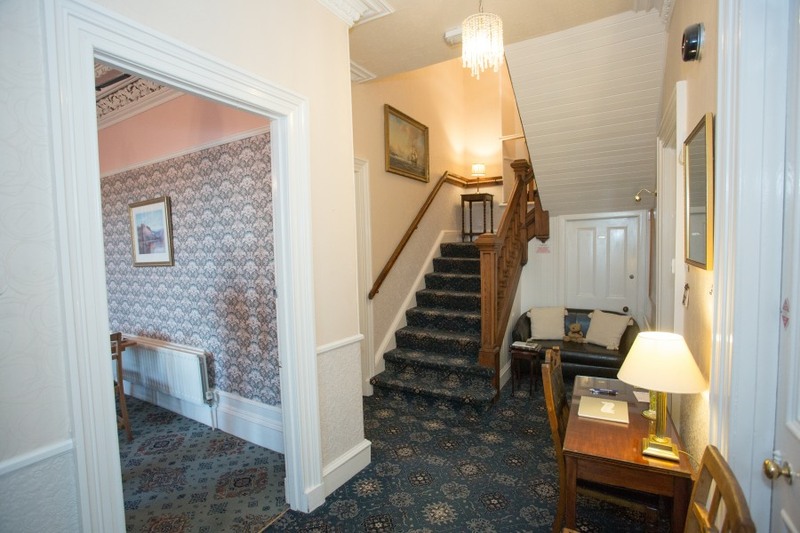 The extensive refurbishment provides Hawthornbank Guest House contemporary luxuries for B&B without compromising its classic charm. 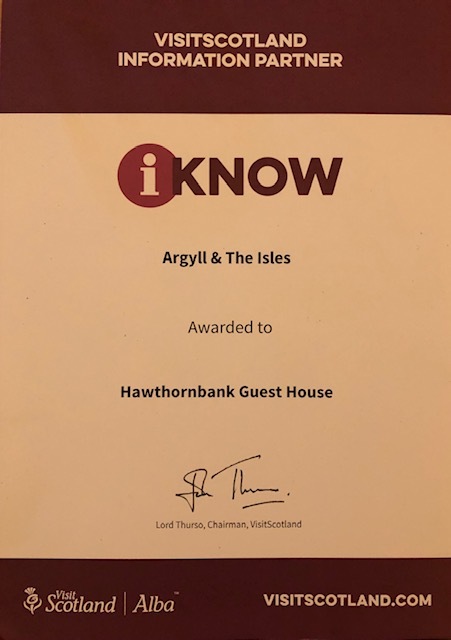 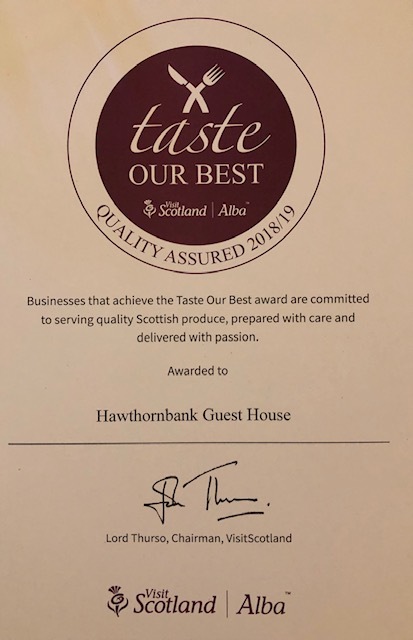 Recognition of the high standards has been given by the Scottish Tourist Board in awarding Hawthornbank a four-star guest house rating. 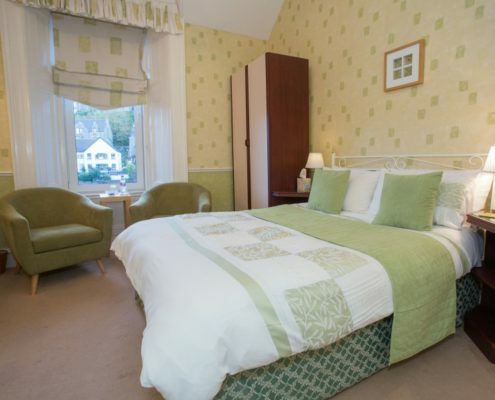 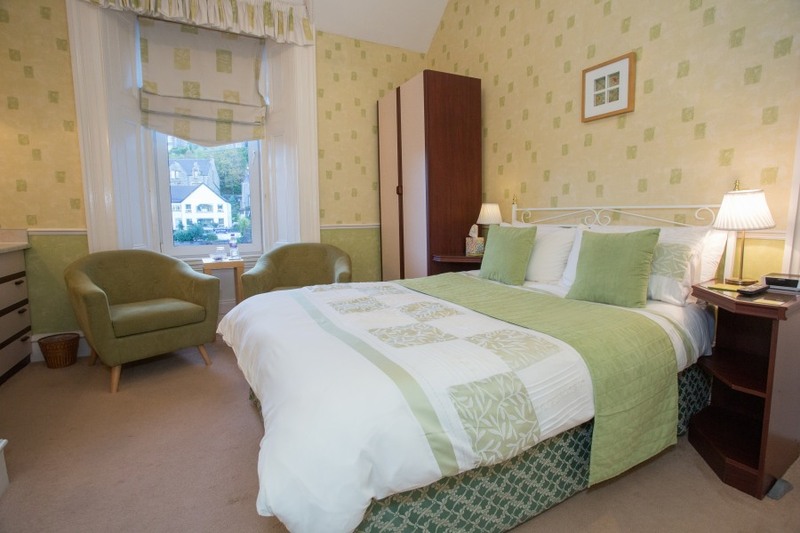 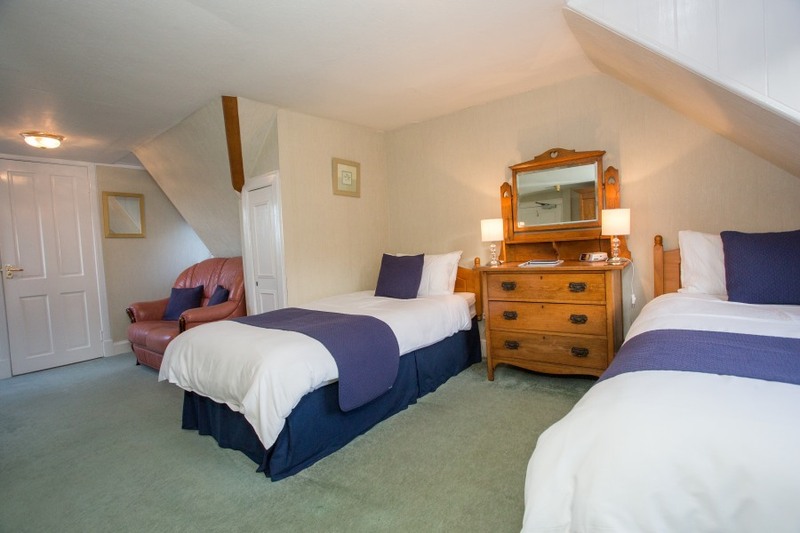 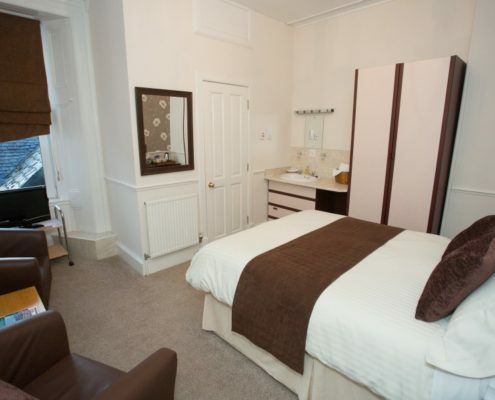 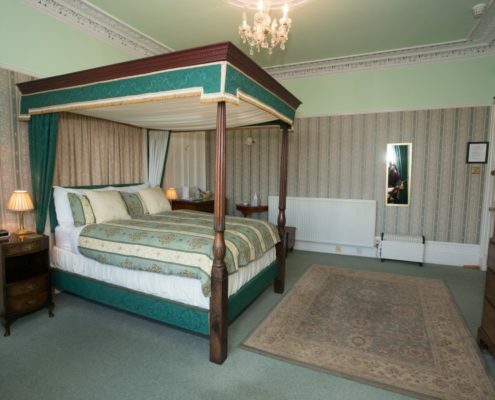 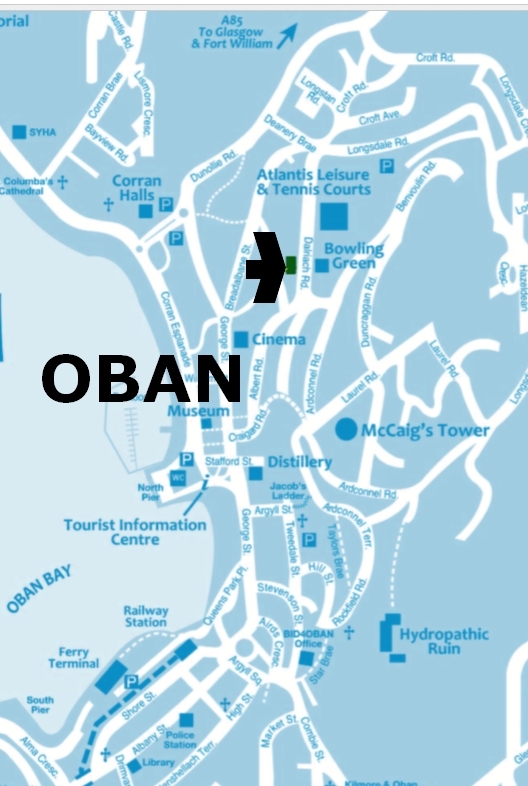 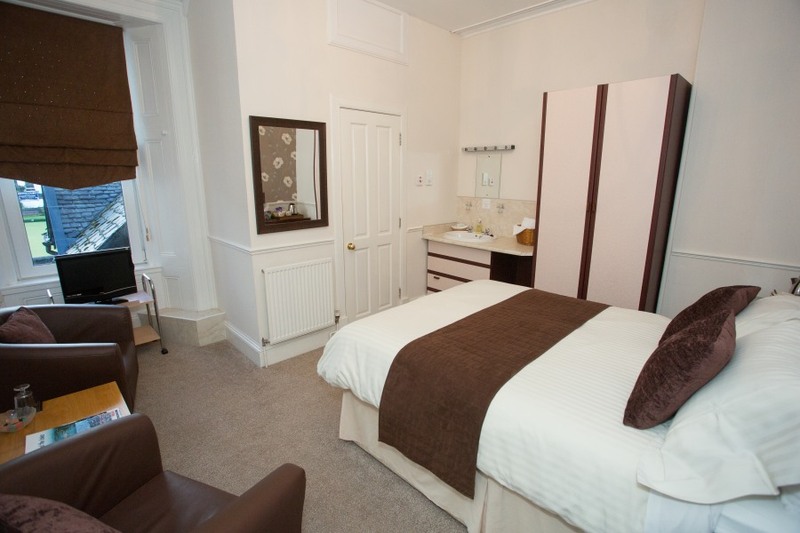 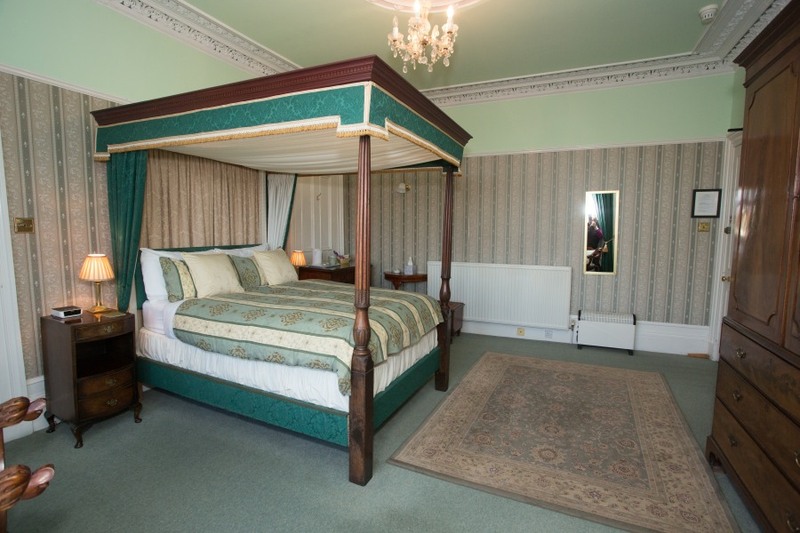 Standard rooms can be booked for as little as £55 per night for one (see full prices on rooms page). 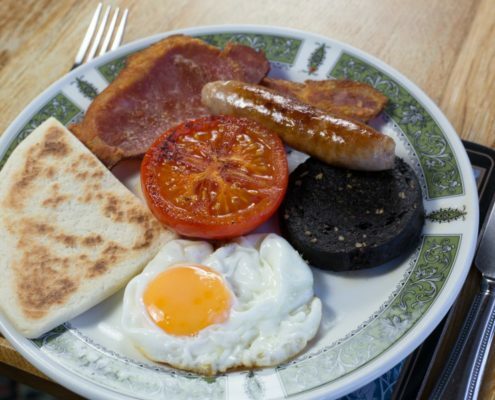 In the morning, choose from a tasty buffet and full cooked Scottish breakfast served between 8.00am and 9.00am. 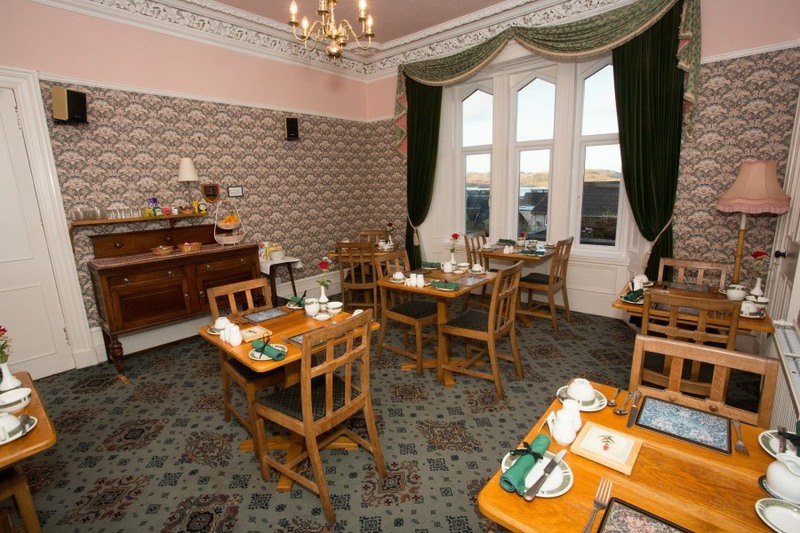 For guests who require an early departure, a continental breakfast is available from 7.00am. 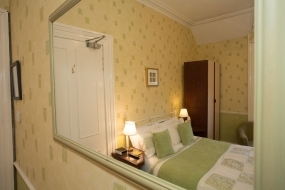 Check-in time is 3.30 – 7.00pm and we ask that rooms are vacated by 10.00am on departure morning. 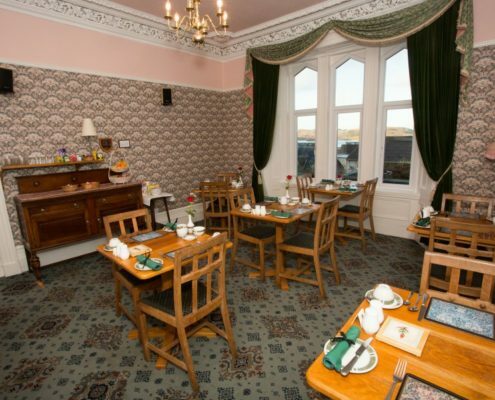 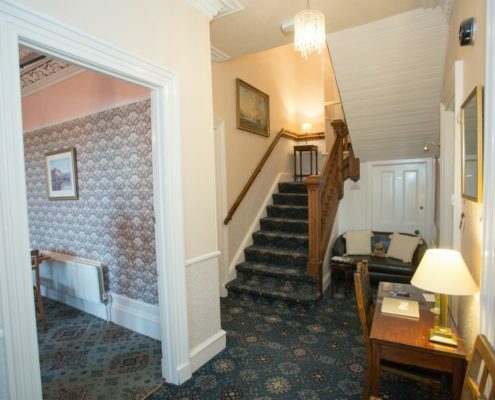 We will provide you with a warm welcome and a relaxed atmosphere to make your stay with us an enjoyable one. 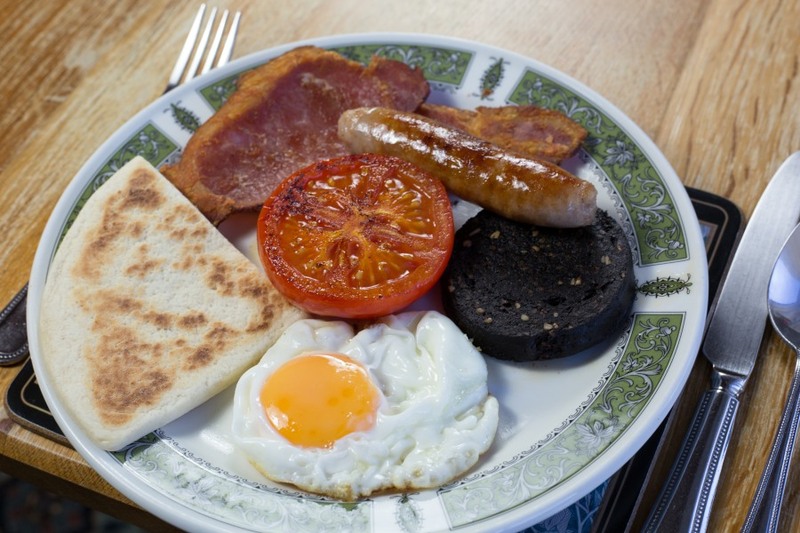 Languages spoken: English, Spanish, Catalan, Tagalog – also, a google translator tool is on this page.